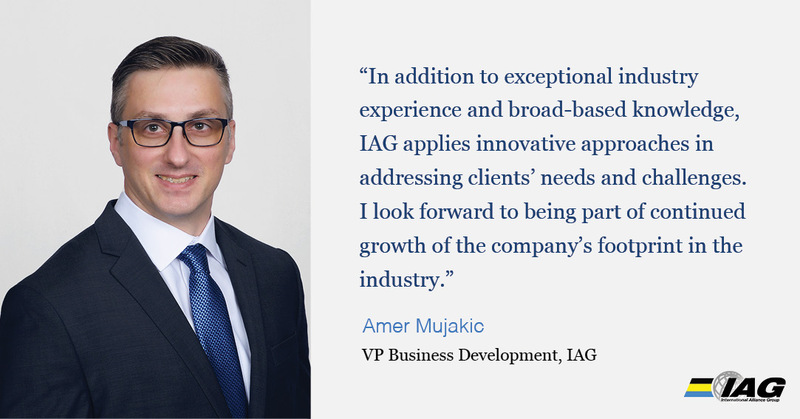 Amer Mujakic brings twenty years of global experience in business development, operations and project management within Refining, Petrochemical, Fertilizer and Public Sector Industries. As Vice President, Amer leads business development activities for customers and markets around the world. Before joining IAG, he worked for KBR Inc., where he held diverse roles in the Technology and Public Sector groups. Most recently, Amer was responsible for delivery of proprietary equipment, and development and implementation of downstream process technology solutions for improvement in the overall performance of the clients’ assets and ROI. Amer maximizes value for clients by leveraging a deep understanding of their needs to build long term solutions with minimum implementation investment. Amer holds a B.S. in Chemical Engineering from Texas A&M University, an M.S. in Finance and MBA from Indiana University, and an M.S. in Project Management from George Washington University.